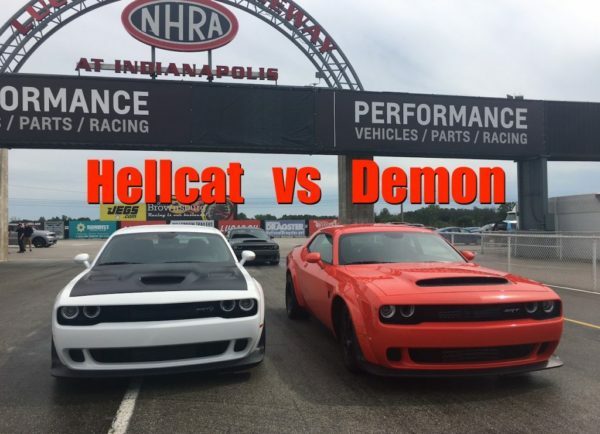 Home / Muscle Cars / Video: 2018 Dodge Demon vs Hellcat Wide Body: Which One Sounds Better? 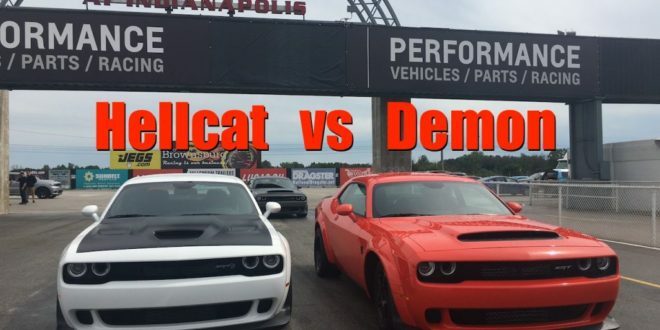 Video: 2018 Dodge Demon vs Hellcat Wide Body: Which One Sounds Better? The new 2018 Dodge SRT Demon produce 840 hp, while the new 2018 Dodge Wide Body SRT Hellcat produces 707 hp. That’s a lot less, but which of these two Iconic American Muscle cars sounds better? Roman Mica presenter of TFL, explains us more in these muscle cars. To the right is a brand new wide-body and a health cabin with the same 6.2L supercharged HEMI V8 that produces 707 horsepower, and to the left side is a demon with a thoroughly reworked 6.2 l supercharged HEMI V8. It uses a larger compressor and many more tricks to produce up to 840 horsepower when running on 100 octane racing fuel. The question is which one sounds better 707 horsepower versus 840.